Greetings and welcome to the home of the perfect touch! If you’re looking for a proficient and professional Massage Therapist and/or Esthetician, you’ve come to the right website. Not only am I extremely confident in my skill set, but I also deliver the ultimate spa experience right to your doorstep. 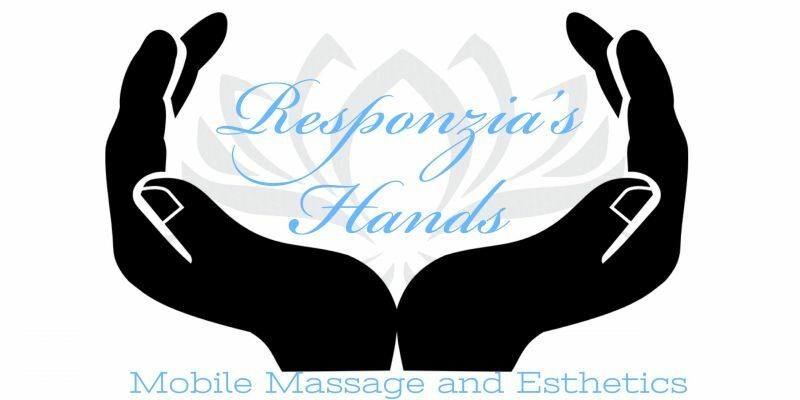 Doesn't matter if you're at home, in your office or even in a hotel room, Responzia's Hands will accommodate you. Instead of wasting your time and gas traveling to me; just book your session and I'll handle the rest. Making an appointment with me alleviates the traditional stresses of receiving spa treatments. That's right... there's no need to pull out your GPS, sit in traffic, find a parking spot, or a long drive home after a relaxation session because I come to you! I am trained in a variety of modalities including, but not limited to Swedish, Deep Tissue Massage and a host of facial and body treatments. To see a full list of services available you can click on the "Appointments" tab where you can learn more about the various techniques I use in my work. Now that you know the details, what are you waiting for? Book your appointment today with the best and most affordable therapist in town! I look forward to having you as a client.